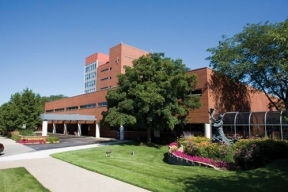 Mayor David A. Gonzalez, in light of recent announcement by Franciscan St. James Health that it is seeking the State of Illinois’ permission to discontinue services at St. James Hospital Chicago Heights, announced the creation of the Health Services Task Force to address the impacts of closure. St. James Chicago Heights not only serves the 30,000 residents of Chicago Heights, but its patients come from areas including South Chicago Heights, Ford Heights, Steger, Crete, and Beecher. “Over the last 100 years, countless lives have depended on St. James Hospital, and while the facility is in Chicago Heights, eliminating critical services will negatively impact tens of thousands of patients from South Chicago Heights, Ford Heights, Steger, Crete, Beecher and the surrounding communities,” said Mayor Gonzalez. The Task Force will include members of the State Legislature, representatives from education, social services, emergency services and business, and mayors from the surrounding area. The group will evaluate the closure’s impact on quality of life, patient needs, and the area’s economy, and develop mandates to ensure the continuation of critical healthcare services.